For the judge, see Shirley Brannock Jones. For the R&B singer of the same name, see Shirley Jones (R&B singer). Shirley Mae Jones (born March 31, 1934) is an American singer and actress of stage, film and television. In her six decades of show business, she has starred as wholesome characters in a number of well-known musical films, such as Oklahoma! (1955), Carousel (1956), and The Music Man (1962). She won the Academy Award for Best Supporting Actress for playing a vengeful prostitute in Elmer Gantry (1960). She played the lead role of Shirley Partridge, the widowed mother of five children, in the musical situation-comedy television series The Partridge Family (1970–74), which co-starred her real-life stepson David Cassidy, son of Jack Cassidy. Jones was born on March 31, 1934, in Charleroi, Pennsylvania, to Methodist parents Marjorie (née Williams), a homemaker, and Paul Jones, owners of the Jones Brewing Company. Jones' paternal grandfather came from Wales. She was named for child star Shirley Temple. The family later moved to the small nearby town of Smithton, Pennsylvania. Jones began singing at the age of six in the Methodist Church choir and took voice lessons from Ralph Lewando. Upon attending South Huntingdon High School in Ruffs Dale, Pennsylvania, she participated in school plays. Afterwards, she frequently joined her father for a show at the Pittsburgh Playhouse. Jones won the Miss Pittsburgh contest in 1952. In New York City, her voice teacher convinced her to audition for a Broadway agent, Gus Sherman, who wanted to put Jones under contract, and with her parents' approval, she resettled in New York City and gave herself one year to become a Broadway performer. She had only $100 in her pocket. Her first audition was for an open biweekly casting call held by John Fearnley, casting director for Rodgers and Hammerstein and their various musicals. At the time, Jones had never heard of Rodgers and Hammerstein. Fearnley was so impressed, he ran across the street to fetch Richard Rodgers, who was rehearsing with an orchestra for an upcoming musical. Rodgers then called Oscar Hammerstein at home. The two saw great potential in Jones. She became the first and only singer to be put under personal contract with the songwriters. They first cast her in a minor role in South Pacific. For her second Broadway show, Me and Juliet, she started as a chorus girl, and then an understudy for the lead role, earning rave reviews in Chicago. Jones impressed Rodgers and Hammerstein with her musically trained voice, and she was cast as the female lead in the film adaptation of their hit musical Oklahoma! in 1955. Other film musicals quickly followed, including Carousel (1956), April Love (1957), and The Music Man (1962), in which she was often typecast as a wholesome, kind character. However, she won a 1960 Academy Award for her performance in Elmer Gantry portraying a woman corrupted by the title character played by Burt Lancaster. Her character becomes a prostitute who encounters her seducer years later and takes her revenge. The director, Richard Brooks, had originally fought against her being in the movie, but after seeing her first scene, told her she would win an Oscar for her performance. She was reunited with Ron Howard (who had played her brother in The Music Man) in The Courtship of Eddie's Father (1963). Jones landed the role of a lady who fell in love with the professor in Fluffy (1965). She also has an impressive stage résumé, including playing the title character in the Broadway musical Maggie Flynn in 1968. The problem with Partridge—though it was great for me and gave me an opportunity to stay home and raise my kids—when my agents came to me and presented it to me, they said if you do a series and it becomes a hit show, you will be that character for the rest of your life and your film career will go into the toilet, which is what happened. But I have no regrets. During its first season, it became a hit and was screened in over 70 countries. Within months, Jones and her co-stars were pop culture television icons. Her real-life 20-year-old stepson David Cassidy, who was an unknown actor at the time, played Shirley Partridge's eldest son, Keith, and became the hottest teen idol in the country. The show also spawned a number of albums and singles by The Partridge Family, performed by David Cassidy and Shirley Jones. That same year, "I Think I Love You" reached number one on the Billboard Hot 100 music chart, making Jones the second person, after Frank Sinatra, and the first woman to win an acting Oscar and also have a number-one hit on that chart. 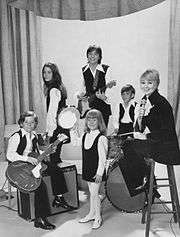 The Partridge Family won a NARM award for the best-selling single of the year in 1970 for their hit "I Think I Love You". In 1971, The Partridge Family was nominated for a Grammy under the Best New Artist category. By 1974, the ratings had declined and the series was dropped from the prime-time lineup after four seasons and 96 episodes. Though Jones was outraged about the series' cancellation, she held the show together. It was one of six series to be canceled that year (along with Room 222, The F.B.I., The Brady Bunch, Owen Marshall: Counselor at Law, and Here's Lucy) to make room for new shows. Shirley Jones's friendship with David Cassidy's family began in the mid-to-late 1950s, when David was just six, after he learned about his father's divorce from his mother Evelyn Ward. 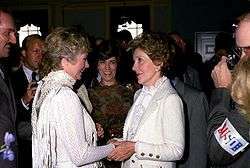 Upon David's first meeting with Shirley before co-starring with her on The Partridge Family, he said, "The day he tells me that they're divorced, he tells me, 'We're remarried, and let me introduce you to my new wife.' He was thrilled when her first film, Oklahoma! (1955), had come out; and my dad took me to see it—I just see her, and I go, uh-oh, it doesn't really quite register with me, 'cause I'm in total shock, because I wanted to hate her, but the instant that I met her, I got the essence of her. She's a very warm, open, sweet, good human being. She couldn't have thawed it for me – the coldness and the ice—any more than she did." Shirley was shocked to hear her real-life stepson was going to audition for the role of Keith Partridge. David said, "At the auditions, they introduced me to the lead actress (Shirley Jones) 'cause they had no idea, they had no idea. So I said, 'What are you doing here?' She looked at me and said, 'What are you doing here?' And I said, 'Well, I'm reading for the lead guy.' I said, 'What are you doing here?' She said, 'I'm the mother!'" Cassidy discussed his relationship with his stepmother on the show: "She wasn't my mother, and I can be very open, and we can speak, and we became very close friends. She was a very good role model for me, watching the way, you know, she dealt with people on the set, and watching people revere her." After the show's cancellation, Cassidy remains very close to his half-brothers and the rest of his cast mates, especially Shirley. Cassidy appeared on many shows alongside his stepmother, including A&E Biography, TV Land Confidential, and The Today Show, and he was one of the presenters of his stepmother's Intimate Portrait on Lifetime Television, and the reality show pilot In Search of the Partridge Family, where he served as co-executive producer. The rest of the cast also celebrated the 25th, 30th, and the 35th anniversaries of The Partridge Family (although Cassidy was unavailable to attend the 25th anniversary in 1995 owing to other commitments). In addition, Jack Cassidy's death in 1976 drew Jones and Cassidy closer as Shirley's three children and stepson mourned their father. In 1979, Jones tried her hand at television for the second time, starring in the NBC show Shirley, which, like The Partridge Family, featured a family headed by a widowed mother, but the show failed to win ratings and was cancelled toward the middle of the season. Jones also played the "older woman" girlfriend of Drew Carey's character in several episodes of The Drew Carey Show, and reprised Shirley Partridge in a cameo in a 2000 episode of That '70s Show. She also won fans in the memorable dramatic project There Were Times, Dear, in which she played a loyal wife whose husband is dying of Alzheimer's disease; she was nominated for an Emmy Award for this work. In February 1986, Jones unveiled her star on the Hollywood Walk of Fame on Vine Street just around the corner from Hollywood Boulevard. She appeared in a rare revival of Noël Coward's operetta, Bitter Sweet, at the Long Beach Civic Light Opera in 1983. In 2004, Shirley returned to Broadway in a revival of 42nd Street, portraying diva "Dorothy Brock" opposite her son Patrick Cassidy — the first time a mother and son were known to star together on Broadway. In July 2005, Jones revisited the musical Carousel onstage in Massachusetts, portraying "Cousin Nettie". In July 2006, Jones received another Emmy Award nomination for her supporting performance in the television film Hidden Places. Shirley was nominated for a Screen Actors Guild award for the same film, but lost to Helen Mirren for Elizabeth I. She also appeared in Grandma's Boy (2006), produced by Adam Sandler, as a nymphomaniac senior citizen. On November 16, 2007, she took the stage at the Ford Center in Oklahoma City, Oklahoma, during the Oklahoma Centennial Spectacular concert which celebrated the state's 100th birthday. Jones sang the songs "Oklahoma!" and "People Will Say We're In Love" from the musical Oklahoma!. In early 2008, it was announced that Jones would play Colleen Brady on the long-running NBC soap opera Days of Our Lives. Jones guest-starred on ABC Family's short-lived show Ruby & The Rockits, as David and Patrick's mother. In 2008, U.K. label Stage Door Records released the retrospective collection Then & Now featuring 24 songs from Jones's musical career, including songs from the films Oklahoma!, Carousel, and April Love. The album features new recordings of songs including "Beauty and the Beast", "Memory", and a sentimental tribute to The Music Man. She had a recurring role as Burt Chance's mother in the Fox TV comedy series Raising Hope. In mid-2012, Jones played Mrs. Paroo, when her son Patrick played Harold Hill, in a California Musical Theatre revival of The Music Man. In 2014, Jones guest-starred on an episode of General Hospital as Mrs. McClain. On August 5, 1956, Jones married singer and actor Jack Cassidy, with whom she had three sons, Shaun, Patrick, and Ryan. David Cassidy, Jack's only child from his first marriage to actress Evelyn Ward, became her stepson. Divorcing Cassidy in 1974, she later married comic/actor Marty Ingels on November 13, 1977. Despite drastically different personalities and several separations (she filed, then withdrew, a divorce petition in 2002), they remained married until Ingels's death in 2015. Jones and Ingels wrote an autobiography based on their quirky relationship/marriage, Shirley & Marty: An Unlikely Love Story. Ingels died on October 21, 2015 following a massive stroke. Prior to his death, Jones said: "He often drove me crazy, but there's not a day I won’t miss him and love him to my core." Jones was friends with her late co-star Gordon MacRae and his ex-wife Sheila, and he was named godfather to her first son, Shaun. She also admitted that she had a crush on MacRae and was starstruck when she worked opposite him on Oklahoma! and states she is the one who convinced MacRae to take the part as Billy Bigelow in Carousel. Frank Sinatra, who had originally been cast, suddenly dropped out during the first days of filming because each scene had to be shot twice, once in CinemaScope 55 (a wider-than-usual, 55-mm, 6-track stereo system) and once in 35-mm CinemaScope. Sinatra felt that he should have been paid twice because technically he was shooting two films. Three weeks after he left, they found a way to film the scene once on 55-mm, then transfer it onto 35-mm. On the evening of December 11, 1976, after Jones had refused an offer of reconciliation from Jack Cassidy, she received news that her ex-husband's penthouse apartment was on fire. Apparently, the fire started from his lit cigarette when he fell asleep on the couch; the following morning, firefighters found Cassidy's body inside the gutted apartment. Jack "wanted to come back (to me) right up to the day he died", Jones said in a 1983 newspaper interview. "And as I realized later, I wanted him. That's the terrible part. 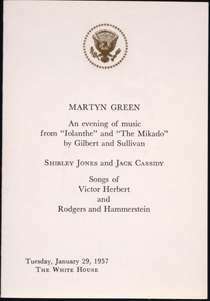 Much as I love Marty and have a wonderful relationship – I'd say this with Marty sitting here – I'm not sure if Jack were alive I'd be married to Marty." Jones was 20 years old when she met Cassidy, who was eight years her senior, and she refers to him as the most influential person in her life. Jones is a supporter of PETA. Jones is the grandmother of ten: Caitlin, Jake, Juliet, Caleb, Roan, Lila, and Marian Cassidy by son Shaun, Cole and Jack, by son Patrick, and Meaghan by son Ryan Cassidy. Jones has eight hobbies: singing, dancing, politics, philanthropy, spending time with her family, swimming, exercising and traveling. I am so devastated to hear of the sad and sudden loss of Suzanne. I still remember her as my young daughter on The Partridge Family. She was the baby of the show. It's a rude awakening that we are all mortal. How fleeting life is. My heart goes out to her family and children. Suzanne will always be remembered and I will always treasure my memories of her. Suzanne Crough ...my sweet TV baby for 5 years...only 52...never a sick day...two adorable children...a devoted husband...everything to live for...just fell asleep at the dining room table and left us forever. Dear God take care of my baby. Referring to David Cassidy's alcohol abuse and legal problems, Jones said "We are just scared to death that we are going to wake up one morning and find out that he is dead on the floor." She also added "David has not had a relationship with anyone in the family for years. We are sick over it!" 1978: Who'll Save Our Children? ↑ Ianzito, Christina (March 2014). "Happy March Birthday to...". AARP The Magazine. AARP. Retrieved 2014-03-06. ↑ Elber, Lynn (July 22, 2013). "Shirley Jones Reveals Passion, Pride and 'Partridge Family' in New Book". Associated Press. Retrieved July 23, 2013. 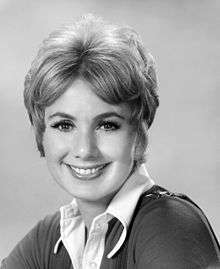 ↑ Shirley Jones Interview: Archive of American Television retrieved May 23, 2014. 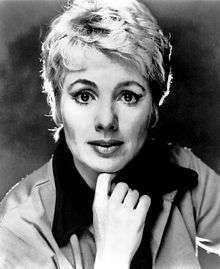 1 2 "Shirley Jones - Biography & History - AllMusic". ↑ Conley, Patti (17 June 2007). "Shirley's doin' fine in 'Oklahoma'". Beaver County Times. p. B1. Retrieved July 23, 2013. 1 2 Thomas, Bob (October 18, 1954). "Writer Ranks Shirley Jones Luckiest Girl in Hollywood". Reading Eagle. 1 2 "Shirley Jones Sings For Richard Rodgers". National Public Radio. January 16, 2010. ↑ King, Susan (May 26, 2009). "Shirley Jones: No Regrets, and Still Going Strong at 75". Vancouver Sun. ↑ "The Music Man". California Musical Theatre. Retrieved July 25, 2012. ↑ Logan, Michael (January 16, 2014). "First Look: Shirley Jones Guests on General Hospital". TV Guide. Lions Gate Entertainment. Retrieved July 31, 2014. ↑ "Shirley Jones To Guest On GH". Soap Opera Digest. American Media, Inc. January 8, 2014. Retrieved July 31, 2014. 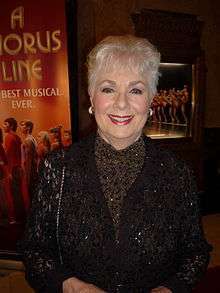 ↑ "Marty Ingels, Shirley Jones Dead at 79". variety.com. 2015-10-21. Retrieved 22 October 2015. ↑ "Jack Cassidy dead". Montreal Gazette. Associated Press. December 14, 1976. Retrieved July 23, 2013. ↑ Fallon, D'Arcy (April 10, 1983). "Nice-Girl Image Plagues Actress Shirley Jones". Toledo Blade. Retrieved April 18, 2013. ↑ "'Life and Death for Factory-Farmed Turkeys', With Shirley Jones". PetaTv.com. Retrieved Dec 3, 2011. ↑ "Shirley Jones 'Devastated' Over Suzanne Crough's Passing". Hollywoodlife.com. 2015-04-28. Retrieved 28 April 2015. ↑ "David Cassidy Stepmom Shirley Jones Family Scared To Death For His Life". Closerweekly.com. 2015-10-15. Retrieved 22 October 2015. ↑ "On the Wing (2015)". IMDb. Retrieved September 23, 2015. 1 2 Clarke, David. "BWW CD Reviews: Shirley Jones and Jack Cassidy's MARRIAGE TYPE LOVE is Sweet Nostalgia". ↑ "Shirley Jones and Jack Cassidy SHOW TUNES". amazon.com. Sony Music. 1995. Retrieved October 19, 2016. Jones, Shirley; Ingels, Marty; Herskowitz, Mickey (1990). Shirley and Marty: An Unlikely Love Story. New York City: William Morrow and Company. ISBN 0-688-08457-5. Jones, Shirley; Leigh, Wendy (2013). Shirley Jones: A Memoir. New York City: Gallery Books. ISBN 978-1476725956. "Somebody Wants to Love You"